Make your moment of "I do" truly priceless with the exquisiteness of this wedding band. The radiance of 14k white gold metal offers the perfect background for the bezel set lab grown diamonds that adorn the clover frame of the ring. These splendid eco-friendly gems are also partially u-pave set on the shank in a way that connects all the clover frames together. 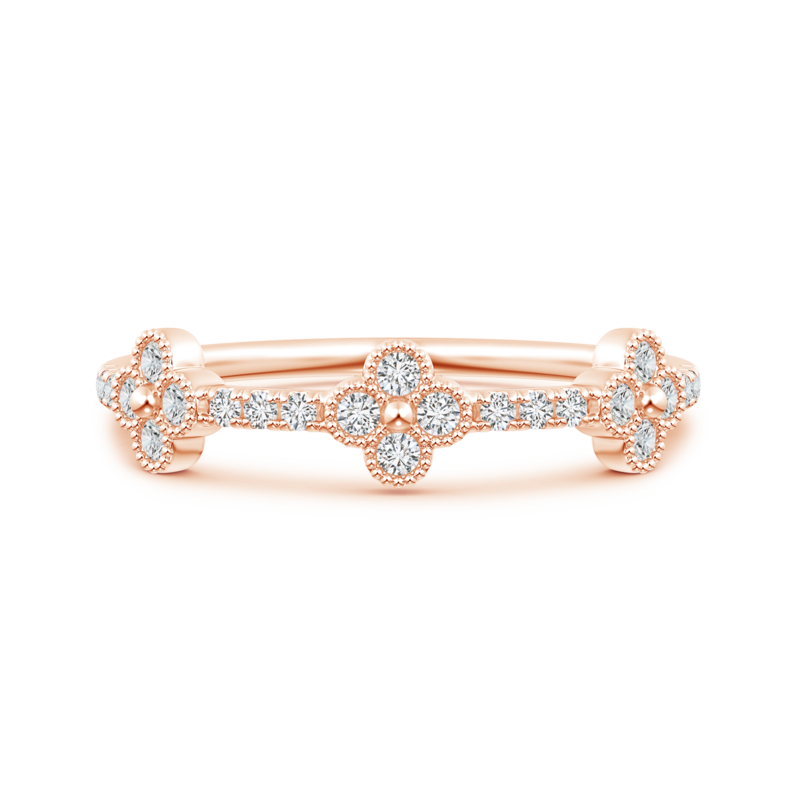 The purity of lab grown diamonds and the eye-catching pattern makes this clover half eternity wedding band a possession to be treasured for a lifetime.